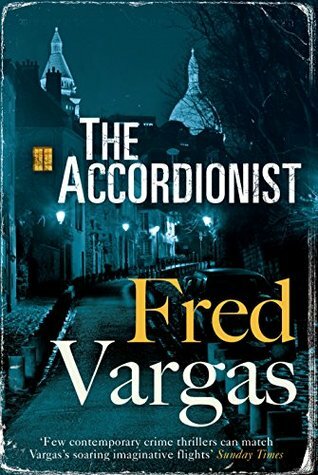 I enjoyed the first book in Fred Vargas’ Three Evangelists series so much – see my review – that I decided to read the next one Dog Will Have His Day and I’ve reserved the third book, The Accordionist at the library. 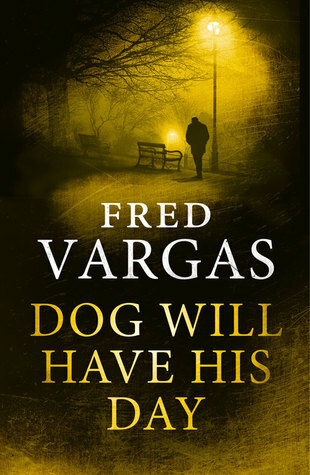 I love Fred Vargas’s books. She writes such quirky crime fiction, with eccentric characters and intricate plots that I love and find so difficult to solve. The three ‘Evangelists’ are thirty-something historians, Mathias, Marc and Lucien, all specialists in three different periods of history, who live in a rambling house in Paris. Actually there are only two of the three Evangelists in Dog Will Have His Day – Marc and Mathias – who help ex-special investigator Louis Kehlweiler, to uncover the mystery surrounding a tiny fragment of human bone Louis had found. Louis is another one of Vargas’ eccentric characters, known variously as Ludwig/Louis, the son of a French woman and a German soldier, he carries Bufo, a toad, around in his pocket and even talks to it. Even though he is retired he still keeps newspaper cuttings and files on any criminal activity of any kind, which is where Marc helps him. And he also still keeps watch on all his observation posts, numbering the public benches and even trees in the Paris parks. Sitting on bench 102 one evening he had seen a pile of dog excrement on a grid around a tree. This annoyed him – he didn’t like his lookout posts to be fouled – but the next morning the rain had washed the grid clean and all that remained from the dog poo was the tiny bone. The bone, which turned out to be the top joint of a big toe, probably that of an elderly woman, convinces Louis that a murder has taken place. And, of course, he has to find out who it had belonged to and what had happened. His search takes him and Marc to a small fishing village in Finistére in Brittany, where they are later joined by Mathias, in the hope of identifying the victim and the murderer. There Louis not only comes across an ex-girlfriend, discovers the answer to a mystery in his own family history, but he also discovers that an old woman, Marie had been found dead on the beach. It had been recorded as an accidental death but Louis is convinced she was murdered – but who killed her and why? This really is a strange murder mystery, full of bizarre events and characters – plus an extraordinary machine that prints out vague answers to questions. I found it compelling reading. I see from the synopsis of The Accordionist that Louis is also in the third book in the series with the three ‘Evangelists’ – I’m hoping my reserved copy will be available from the library soon. 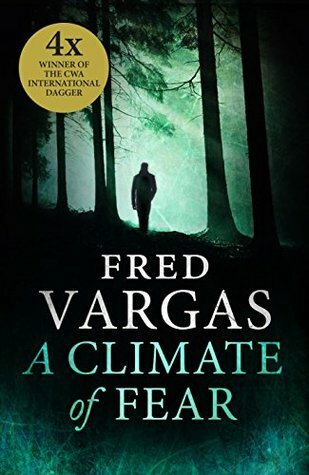 I love Fred Vargas’s books. She writes such quirky crime fiction, with eccentric characters and intricate plots that I find so difficult to solve. The Three Evangelists, set mainly in Paris, is an excellent example and the three title characters are thirty-something historians, Mathias, Marc and Lucien, all specialists in three different periods of history and all down on their luck. Together with Marc’s uncle and godfather, Armand Vandoosler, an ex-policeman, they have just moved into a ‘tumbledown disgrace’ of a house next door to retired opera singer Sophia Siméonidis and her husband Pierre. When a tree unexpectedly appears in Sophia’s garden she asks for their help in digging around the tree to see if something has been buried there. They find nothing but soil. Then Sophia disappears and her body is found burned to ashes in a car. The evangelists and Armand use their expertise to find out what happened. Did her husband kill her, or her best friend; had she run off with an ex-lover and how does her niece figure in the mystery? Sophia’s past life comes under scrutiny by the three historians, helped by Vandoosler and his friend, a current policeman. The trail leads back into Sophia’s past as an opera singer, a past full of intrigue, jealousy and desire. I loved all the characters in particular the three historians, each one unique, entertaining and completely eccentric. The clever plot had me completely bamboozled and the ending was so unexpected as the twists and turns had led me up the wrong garden path, so to speak. Now, I’m keen to read the other two books in the series – Dog Will Have His Day and The Accordionist. 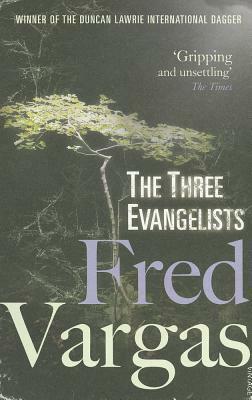 This week I’m featuring The Three Evangelists by Fred Vargas, one of my favourite authors. I’ve read some of her Commissaire Adamsberg books and loved them. This one is the first in the Three Evangelists series. ‘Pierre, something’s wrong with the garden,’ said Sophia. She opened the window and examined the patch of ground. She knew it by heart, every blade of grass. What she saw sent a shiver down her spine. The opera singer Sophia Siméonidis wakes up one morning to discover that a tree has appeared overnight in the garden of her Paris house. 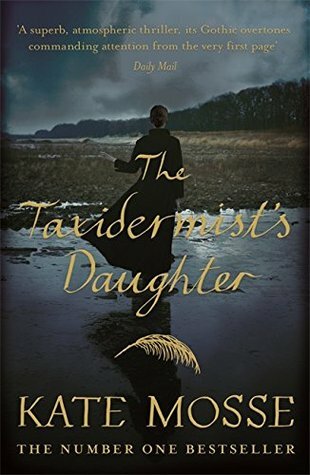 Intrigued and unnerved, she turns to her neighbours: Vandoosler, an ex-cop, and three impecunious historians, Mathias, Marc and Lucien – the three evangelists. They agree to dig around the tree and see if something has been buried there. They find nothing but soil. A few weeks later, Sophia disappears and her body is found burned to ashes in a car. Who killed the opera singer? Her husband, her ex-lover, her best friend, her niece? They all seem to have a motive. Vandoosler and the three evangelists set out to find the truth. 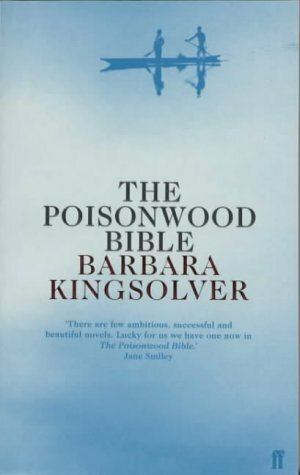 This looks so different from her Adamsberg books – and yet at the same time so similar – quirky, with eccentric characters and with a mystery to solve.